First ask yourself, what is a marketing plan, can you create a marketing plan outline, would you recognize and understand a well written marketing plan example? Look at a great marketing plan example, study a successful marketing plan outline, read through an effective marketing plan strategy and what do you see? What you should see is a common formula. You should be able to recognize certain marketing elements that are common within many successful marketing strategies. Because good marketing teams are creative, its not always easy to pinpoint the common marketing elements within each marketing campaign. The purpose of this particular blog post is to pull apart a great example of a marketing plan so you can see the common but important marketing elements that are required to achieve success. Not only will we dissect the primary components of developing a marketing plan, we will provide specific "How To" guides on each of these marketing components. As you read below and then better understand the process of creating a marketing plan, you will have a link (image) next to each section where you can go to examine that component in great detail. For example, where we speak about the role analysis should be playing in your marketing plan, we will provide an eBook that goes into great, step by step detail on that subject. Our objective for this blog post is for it to become a valuable resource that you can use again and again to develop a marketing plan, create a marketing plan and modify a marketing plan. As a marketing executive, you can use this blog post to be sure your marketing plan does account for all of the critical elements of success as like any well built plan, each component relies on or feeds another. This may be an obvious declaration but we can't move into the details of creating a marketing plan without having the main message created with clarity and strength. What is your initial message to your target audience? What is it you want them to know about you, your product or services. Why should they be interested in your message? What's in it for them? What features and benefits will make your target audience pay attention and more importantly, take action? Just in case I am not being clear, your message is expressed in the form of a website. So before we walk through all of the critical elements of creating a marketing plan and looking at a marketing plan example, know that your website and web pages come first. They need to be complete and attractive and clear from a navigation standpoint. Once you are comfortable, confident and secure with your message (website), search engine optimization is your first concern. Often referred to as SEO, it is absolutely crucial that each and every one of your web pages are search engine friendly. 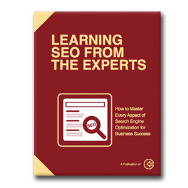 All major search engines first index your pages or include them in their database of content. This allows them to evaluate your web pages based on the keyword or keyphrase the search engine user uses for their own search. If your pages don't include elements like relevant content and meta tags, your competition will rank higher than you will on the SERP or search engine results page. Use our eBook by clicking on the image on the left to learn this process in great detail. 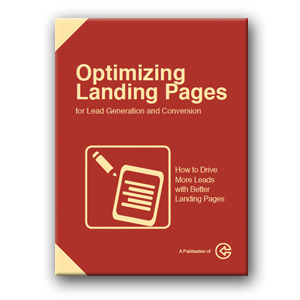 Here is another eBook that outlines more about the details involved when optimizing a targeted landing page. A landing page is a web page that has more focus on a particular topic, feature, benefit or market demographic as oppose to a primary page with a little more general information. Driving traffic and leads. Once you have an attractive website that expresses your message clearly, then make sure you have made your pages search engine friendly so your qualified target audience can find the site when using relevant keywords, you need to apply certain strategies that will attract and convert top level traffic. Top level traffic refers to the overall flow of tire kickers, visitors, interested people, people who chose to engage and people who chose to buy. Visualize a funnel. This funnel has a top or wide end that is created to capture as many interested people as possible. These are the masses who have some direct or indirect interest in your message. Then the job of your website is to filter people further down into the funnel where you end up with those people that are interested enough to stay on the site and explore a little more. The people that have been searching for exactly what you offer move even deeper into your funnel where you have a better opportunity to make a sale. There are different strategies designed to successfully guide all top end visitors as far down the funnel as possible. 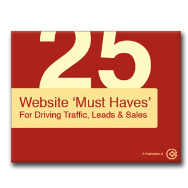 They include elements like offers, landing pages, CTA or call to action. You need a system or strategy to accomplish this effectively. The next phase of developing a marketing plan is lead generation. You need to develop a strategy to successfully communicate value to those people who have entered your funnel and explored your website with interest. This is the group of people that you should consider prospects. Prospects can be converted into leads and move even deeper into your sales funnel. This process is known as lead generation and gets you that much closer to making the sale. 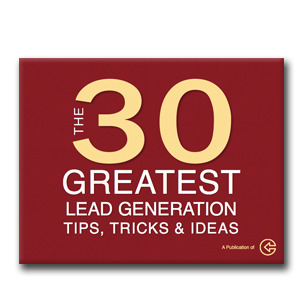 This eBook will help you better master lead generation fundamentals. Even though there are other steps in between the ones illustrated above, the next step of developing a marketing plan is the process of analysis. Think about it... You have a plan that can deliver your primary message to your target audience. Then you are able to optimize that message (website) to reach more of that target audience through search engine optimization and landing page optimization. Hopefully the process so far has given your target audience more reason to stay on your website and explore. This is what moves them down the funnel into leads and is a result of your lead generation strategy. What must happen next is for you to have the ability to regularly analyze all of this activity so you can determine what is working and what is not. Added to this analysis process is the ability to see what components are working better than others. Accurate analysis gives you the ability to make adjustments both minor and major. 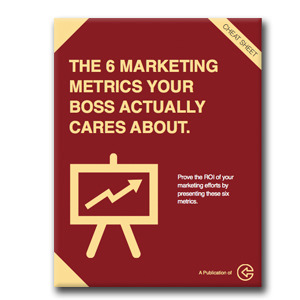 Here is one more related eBook that further defines the analysis process. 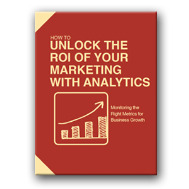 This eBook will help you define the more important analytics. The idea here is that you can measure and report on a truly unbelievable amount of statistics and raw data. But many times it is important to focus on the data that makes the most sense to your operation. The decision makers need to see only the data that helps them make these important decisions. These groups of statistics are referred to as key performance indicators or KPIs. This ebook will help you determine which key performance indicators will help you and other decision makers focus on the specific data that makes the most difference on increasing traffic, leads and customers. I hope this blog post will prove a valuable resource and help you learn how to best approach developing or improving a marketing plan. Virtual Support Systems is an inbound marketing agency and help small business apply all of this information (and more) with the goal of building, managing and improving an effective inbound marketing plan. If you would like to have question & answer session or any other type of discussion, please feel welcome to reach out by calling (941-927-2028), emailing (reports@virtualsupportsystems.com) or completing any of the forms we have on our landing pages.